It took my Sister, my maid of honor, and I about a month to come up all the details and planning to throw a surprise party to ask my bridesmaids to be in our wedding. Only a few of the girls knew they were going to be bridesmaids. Not only did I want to give them a personal gift box but I also wanted to celebrate them for being in my life. 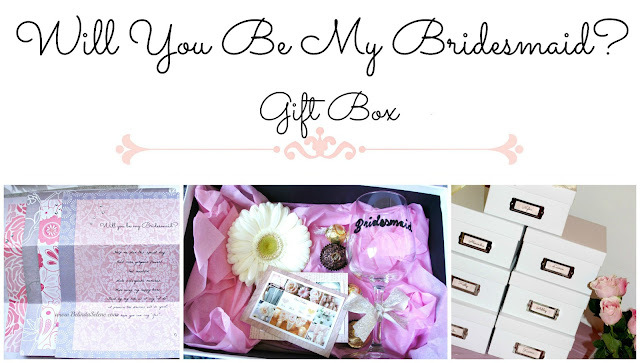 Once again I had never heard or knew anyone who had planned a party or has given a gift box to ask their bridal party to stand up in their wedding. I didn't know exactly how to plan it or what to expect. They were all very excited, surprised, and said "Yes!". It was just as special as I wanted it to be. 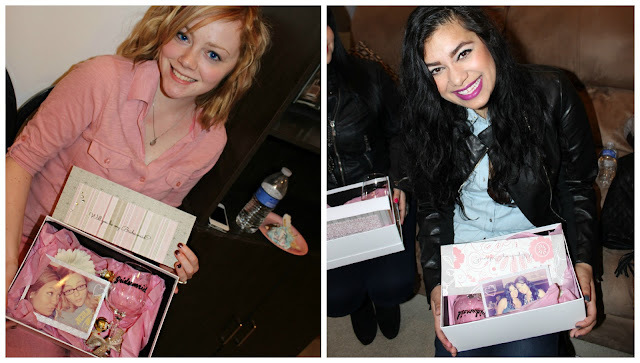 The girls loved the party, the rumchata cupcakes, the decorations, and their presents too. It brought us all closer. It was definitely a day to remember. We baked and prepared all of the sweets from scratch. 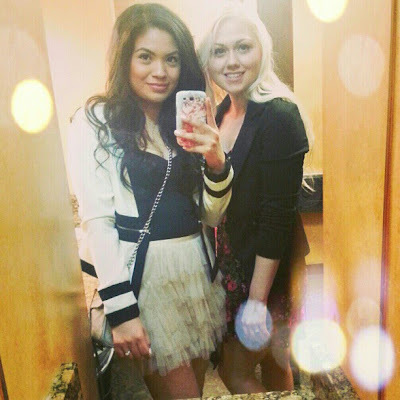 With the lovely help of my Sister and bestie Ashley, early that day we went shopping for the ingredients and had so much fun making all of the treats at Ashley's new house. We made chocolate covered strawberries and pretzel sticks. The most exciting part was making rumchata cupcakes. We also made the icing and let me tell you it is the best I have ever tasted! My Sister and Ashley had the best idea, Rumchata cupcakes! 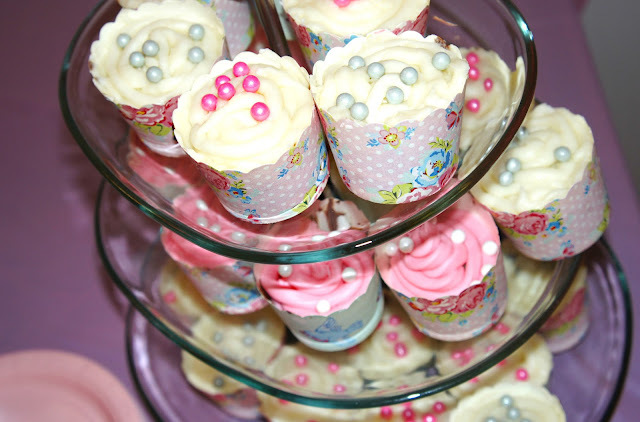 The cupcakes came out very Delicious! It took me several trips to different stores to find the perfect colors of the cups. I think these are very feminine and adorable. The cool part about them is that you didn't need a muffin pan to bake them. They are so thick they can stand alone in the oven. I also wanted to add edible pearls, it gives them each a pop of color. You can click here for the rumchata cupcake recipe. 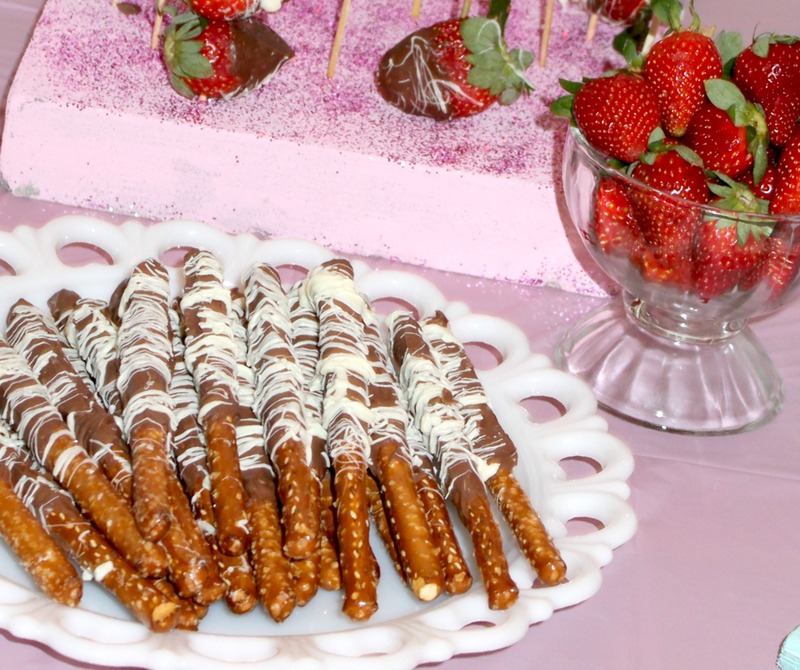 With our love for chocolate we made chocolate covered strawberries and pretzel sticks. They are extremely easy to make, their delicious, and they look really cute. I took a foam board, painted it pink, added pink glitter, and used wood skewers to hold the strawberries. 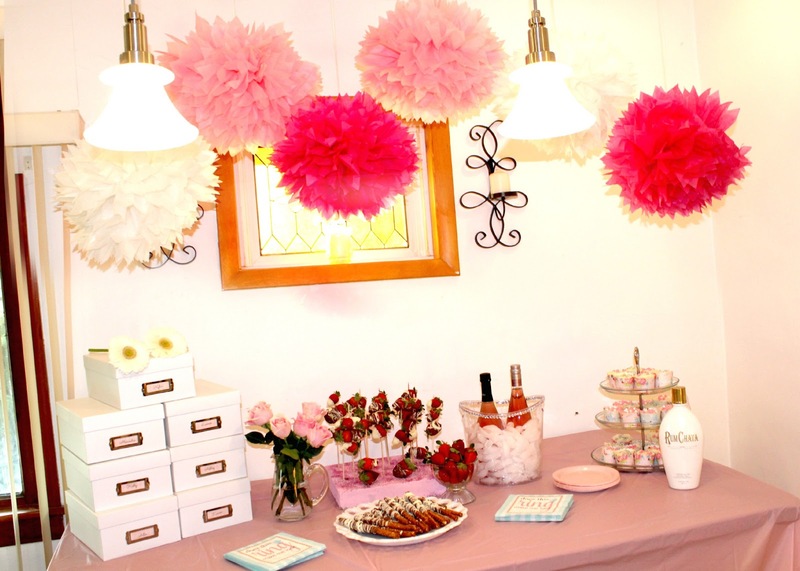 I wanted the decorations be very girly and fun. At first I was thinking of getting balloons but found this idea better. These were my favorite. They are very eye-catching hanging from the ceiling. These napkins made my day. My Sister picked these up and thought they were perfect for the occasion. I loved them so much I didn't want to get them dirty ha ha. 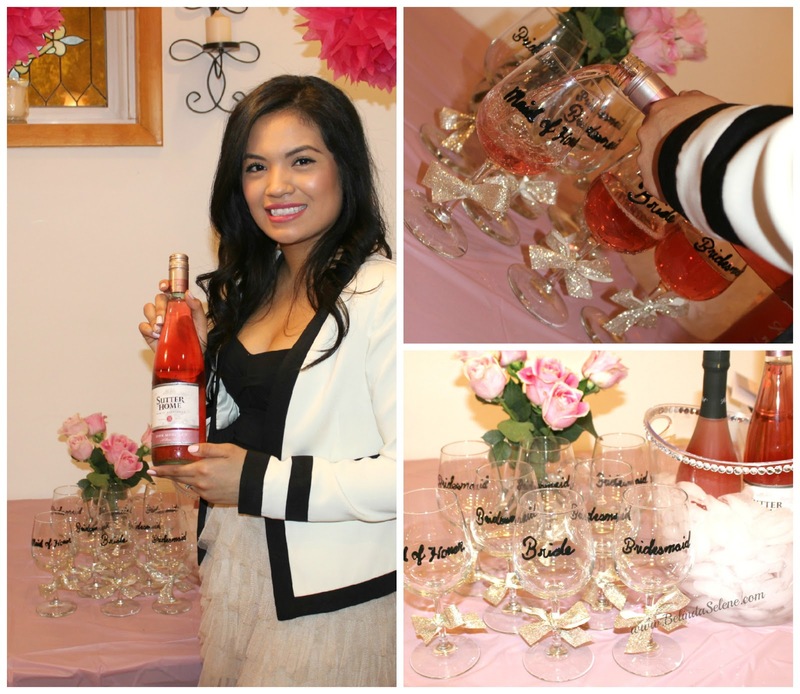 I bought a clear bucket, to chill the wine, and glued rhinestones on the rim to give it that glamorous touch. I also picked up beautiful fresh pink roses to make it look complete. In order to surprise them I told them this was "suppose" to be a small engagement party. Once everyone arrived, I talked a little about the wedding details at first. Then, gave a small speech appreciating how important each girl is to me. Before asking them to be my bridesmaids I handed out the gift boxes where it asked them. Inside there was a letter explaining the reason why I asked them to be here. We put a lot of work to all of the small details. I couldn't have done it without my sister and best friend who helped me with everything. From driving from store to store, I can be picky, to making the food, dedicating a whole day to help me, and helping me decorate. After our toast we all went out to dinner, drinks, and to the movies. For some of the girls it was their first time meeting each other. During the night it felt like everyone had known each other for years. It was so much fun to bond with everyone. Always remember to surround yourself with loving, positive, supporting people in your life. 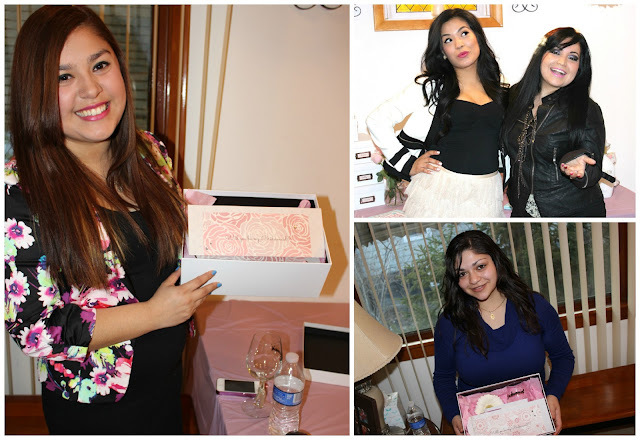 See what was inside each gift box I made. Pictures are saying something. Catering affects wedding parties. May be you should have posted some photos of food and catering also. Recently I hired Cater Hire for my friends wedding. Our wedding at this place went perfectly; my parents said they never once had to go to the bar because everyone was so attentive to their needs.